What stage does best apply to you? Implementing the right go-to-market strategy for your business can be a difficult task. Finding the right partner and developing a solid channel partnership is even harder. 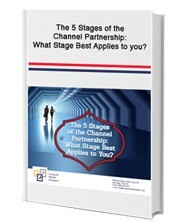 There are 5 stages that vendors and channel partners go through in a business rapport. At each stage, there is often a decision (sometimes more thoughtfully arrived at than others) to move forward or to end the relationship.